It is with great sadness, the family announces the passing of Paul on Wednesday, October 31, 2018. Paul, beloved husband of Joanne. Loving and devoted father of Nathan (partner Sarah Goegan) and Stephanie (partner Jakob Page) and Chanel (dog). Son of Fred (spouse Patricia) and Carolyn (partner Rob Paton); brother of Scott (partner Michael Godfrey); son-in-law of Lee and Marlene Klingbyle; brother-in-law of Heather Mykytiw and Bonnie Bridgewater (partner Gary Meloche); survived by several uncles, aunts, cousins, nieces and nephews. Peacefully, on Wednesday, December 26, 2018, Dr. Stuart Benson Bruce of London, in his 91st year. Beloved husband of the late Phyllis (Johnson; 2009). Cherished father of Katherine Bruce (David Smythe), Audrey Bruce (Bruce Campbell), Alison Bruce (Robert Meyers), David Bruce (Heather Murray), and Elizabeth Bruce (Brian Flynn). Dear grandfather of 8 grandchildren. Missed by 2 nieces, Andrea and Julie. Stuart was practicing Ophthalmology in the city of London, graduating from Queens University, with specialist training from Harvard University. He was also an elder at Oakridge Presbyterian Church. DUNKLEY, Rev. George A. C. - (Mus.Bac., M.Mus., A.R.C.T., F.T.C.L.) - Of Mississauga, Ontario, passed peacefully into the arms of his Lord in the early morning of Saturday 10 November 2018, after a difficult struggle with pancreatic cancer, which, even in the last few months of his life, did not diminish his zeal for helping others in their times of need. Peacefully at Huron Residential Hospice on Monday November 12, 2018. William M. Cameron of Goderich in his 93rd year. Beloved husband of Grace (Stewart) Cameron. Also survived by several nieces, nephews and their families. A graveside service will be held at Durham Road Cemetery in the spring. Donations to Knox Presbyterian Church or St. George's Anglican Church gratefully acknowledged. 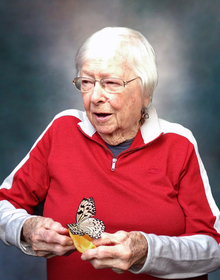 Jean Cairns Milne (née Aitken) of Kincardine, passed away at the Southampton Care Centre, on Saturday, October 27th, 2018 in her 95th year. Beloved wife of the late John Alexander “Sandy” Milne (1986). Cherished mother of Cathy Milne of Kincardine and David Milne (Gloria Jean Nagy) of Ottawa. Loving grandmother of Melanie and Margaret. For those who were at the season opener last weekend you witnessed Bruce Beach baseball at its best. Imagine if you will Mike Buchanan on the mound pitching for the game. Bottom of the 9th (or whatever inning Gerry says it is). The score is 14 to 11. The bases are getting fuller but somehow the game is lost as the opposition just can’t sustain any traction. We all retire for a well-deserved beer or two. Just another day in paradise known as Bruce Beach. 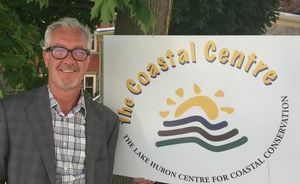 The Lake Huron Centre for Coastal Conservation Board of Directors are pleased to announce that Matthew Hoy joined the Coastal Centre team on July 4, 2016 as the new Executive Director. 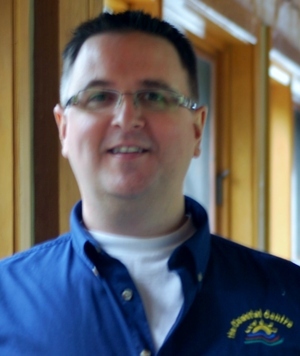 Matt is a long term resident of Goderich and is deeply committed to both his community and the Lake Huron shoreline. Matt has had a successful career within the financial industry, however has decided to change his vocation and focus his efforts to benefit both the Lake Huron coastline and the environment. He firmly believes the strength of communities along Ontario’s southeast shoreline lies in the health of our Great Lake. Another marvelous summer begins on the shores of Bruce Beach. If others in your family do not receive the emails from Ross Klopp please forward this note to them. After a couple of great weekends at Bruce Beach many will be trying to figure out how to spend an extra week at the cottage this summer. What could be better than spending some extra time with your kids by volunteering to help with Junior Baseball. The activity takes place from 9.30 am to 10.30 am Monday through Friday every week during July and August. The first day this year will be July 4th. The Coastal Centre has grown since its incorporation as a non-profit in 1998. The Coastal Centre has gone from managing a few grant projects a year with one full-time contractual Coastal Resource Manager to managing twenty-three projects in 2014-15 and a growing number of full-time and part-time staff members. The hiring of an Executive Director has been a goal of the Board of Directors since 2005, and the current Board embarked upon a recruitment plan in the fall of 2015. We received an overwhelming response to the job opening and feel fortunate to have had such a strong pool of applicants. The Board of Directors are pleased to announce that Matt Meade has been selected to fill the position of Executive Director and will officially join our team on June 8, 2016. Matt has a Honours BA Geography, Post Graduate GIS, and a Masters in Forestry from University of Toronto. Matt lives in Port Elgin with his wife and two young children. Out of curiosity the other day I Googled the Toronto Star, Home Delivery and completed a request to have the Star delivered to the cottage. Surprise of surprises! The next morning the Star was at the end of our laneway. And to add to the delight, the price for one month,on an introductory offer for 6 months is $17.81 per month and you are able to cancel at any time. Now, why am I promoting this? Strictly because of a selfish motive. I am concerned that if not enough people subscribe that we may loose this home delivery.